Board games play a big part in nearly every home. We offer a superb range that will challenge and stimulate the mind and provided hours of fun and entertainment as well. 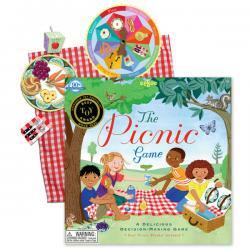 Each of our childrens board games are suited to specific interests and age groups. Below you'll find one of the best selections of kids board games NZ toy shops have to offer. This is a great introductory math game for children 5 and up. Played like the popular letter word g.. The Memory Palace is a storytelling game that builds memory and imagination. Players explore their ..